There’s really nothing quite as exciting as watching a great orchestra under a great conductor performing a great work, which is precisely what you get on the Naxos Video Library with these fantastic performances. 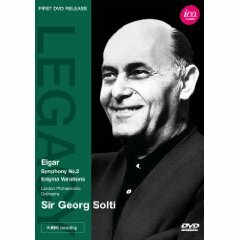 Sir Georg Solti was one of the towering figures of 20th century conducting and his interpretations of the music of Sir Edward Elgar came as something of a surprise to those people who knew him primarily as a performer of the great Austro-German repertoire; his recording of Wagner’s Ring Cycle remains about as definitive as any perfomance can be. When he finally came to the music of Elgar, performed with orchestras that had the great English composer in their blood, his dynamic, no-holds-barred approach demonstrated to a very wide audience just what an extraordinary phenomenon Elgar actually was on the musical landscape of the early 20th century. 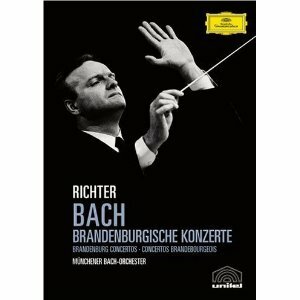 How wonderful to be able to compare aurally and visually two remarkable performances of Bach’s Brandenburg Concertos. Karl Richter spearheaded the move towards historically informed performances of Baroque music in the 1950s, one of the leaders of a movement that eventually led to the development of original instrument practice that has so radically reinvented how we perform and hear so called “ancient music”. Interestingly, Richter preferred to use modern instruments and famously observed, “it might be informative and revealing to play Bach on historical instruments, but for me, it’s only a modish phenomenon that will fade away.” Whoops! 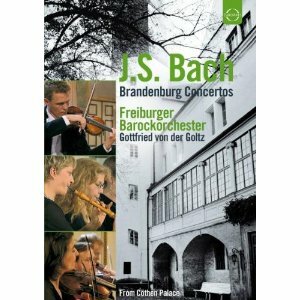 Clearly not faded away, the Freiburger Barockorchester is one of Europe’s leading period bands, and their take on the Brandenburgs is refreshingly intimate in an almost chamber-music like way. Whilst I love Richter’s unfussy but quite formal approach to this music, it’s marvellous to step from that into this almost salon-style approach where each player seems to be a vital part of the whole; and I love watching and hearing those horn players with their valveless instruments in the first movement. Wow! Standing at the very heart of Western classical music is Beethoven’s colossal 9th Symphony. 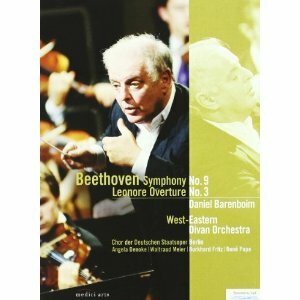 This splendid performance from Berlin features Daniel Barenboim conducting his own East-West Divan Orchestra, a group made up of young Arab and Israeli musicians who come together to give remarkable and moving performances under the inspirational hand of this most inspirational musician. These wonderful video performances, and many more besides, are available to one and all via the Library’s website here in the building, or in the comfort of your own home if you’re a Victorian registered user.